Traveling once again from Sao Paulo Brazil, Fernando Bellegarde will be part of Team Brazil, competing in the Expert class with his new P-51 Mustang. Built from the CARF-Models kit, it took him 8 months to complete. 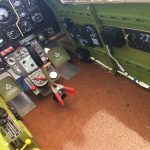 His P-51 is finished with custom Aerotech paint and Flite Metal is applied all over the plane with fabric covering on the rudder. All rivets, screws and panel lines were detailed out. Fernando is using a DLA 116cc gas engine for power spinning a 4-blade custom-made propeller. 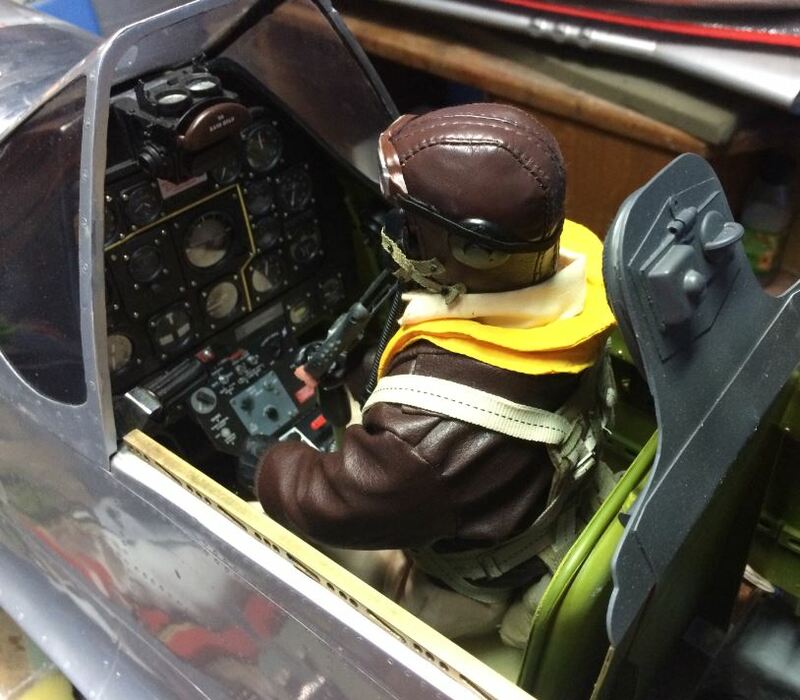 His Mustang has a fully detailed “I fly Tailies” cockpit, with a full-body pilot figure from Warbird Pilot figure at the controls. He is using a 12-channel Futaba radio with Savox servos. Fernando’s model represents one of the fighters from the famous WW2 332th Fighter Group’s “Red Tails” squadron—”Duchess Arlene”, piloted by Capt. Robert Williams in 1944. Documentation information came from the Tuskegee Airmen Association. 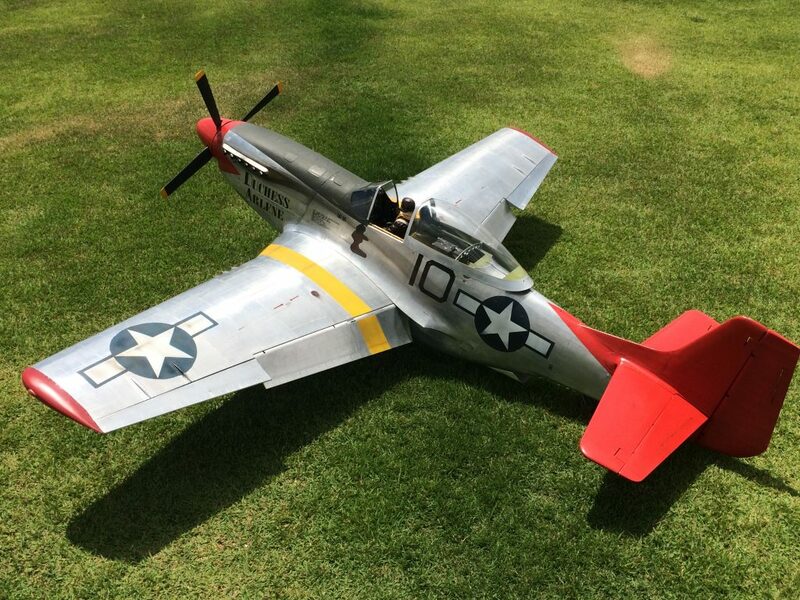 All the markings are homemade by Fernando who has been flying RC for 28 years. This will be his 5th time at Top Gun. An incredibly beautiful warbird that honors the black fighter pilots of WWII who inspite of racially motivated obstacles proved to be, if not the best, among the best fighter pilot groups that bravely served our nation. Amazing attention to detail. Bravo ! I am amazed that this is a kit! So extensive research was not required to get the plans as precisely as possible? In fact, it was. References for this particular bird are extremely scarce, and some are actually innacurate. Fernando had to re-make most of the panel lines and rivets, as many of those molded in the original kit were also wrong. The exhaust stacks were completely wrong. A whole lot of work was necessary to bring this 51 to life. Beautiful P-51. What is the wing span? Beautiful plane, the tuskegee airmen would be proud.